George Mason University students and faculty members listen to a speaker at rally for Mason faculty member Edmund (Fred) Millar on February 2, 1978. This meeting is taking place on the Quadrangle directly behind Finley Hall. The West (center) and South (left) Buildings can be seen in the background. 5" x 7" photograph print; black and white. 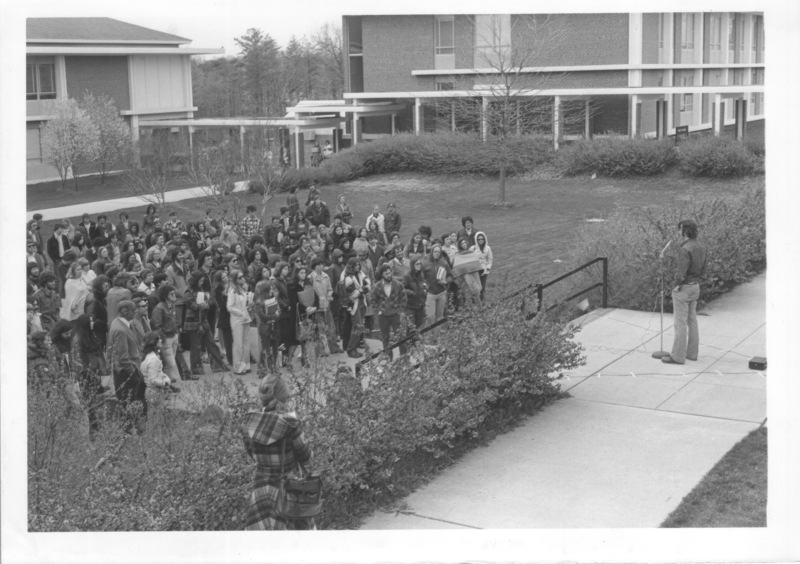 Citation: Broadside, George Mason University, “Students and faculty listen to a speaker during a rally for Fred Millar, February 1, 1978,” A History of George Mason University, accessed April 19, 2019, http://ahistoryofmason.gmu.edu/items/show/166.